On 3rd Friday in April, Kiosk Gallery presents Recent Works: Abstract Legacy – a solo exhibition by Kansas City painter Lisa Blue Rogers. 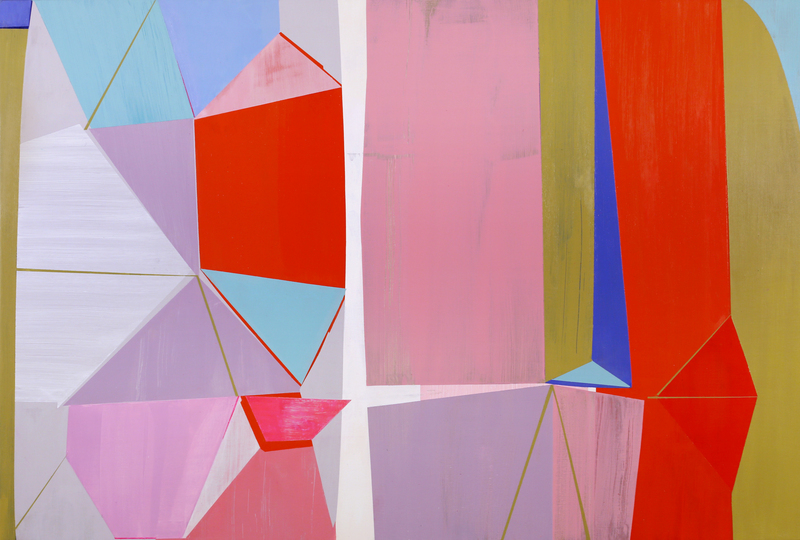 Rogers’ work is informed by the history of abstraction in art, and her influences make appearances in layers of sharp geometric shapes and textured strata of color – playing within a range of depth and flatness. An artist’s reception will be held April 15th, 6-9 pm. The show runs through May 12th, open Fridays 12-6pm, Saturdays 12-4pm, and by appointment.